The Seneca County Sheriff’s Office reports on 4/1/19 at approximately 10:15 AM Deputies arrested Rachel L. Matthews, age 39, of Little Falls, NY for Aggravated Unlicensed Operation of a vehicle in the third degree, a misdemeanor. The Sheriff’s Office reports Deputies responded to 6600 State Route 96 in Romulus for a property damage accident , in which Matthews struck a deer . Upon investigation, Deputies discovered Matthews was operating a vehicle on a suspended license. Matthews was released on a traffic ticket and is due to appear in the Town of Romulus court on 5/10/19 at 10:00 AM to answer to the charge. The Seneca County Sheriff’s Office responded to a structure fire at 550 Steele Road on 3/26/19 at around 2:00 am. Upon arrival, Deputies discovered a mobile home engulfed in flames. The mobile home belonged to Kimberly Washburn 47 of the same address . Kimberly, her family and several dogs were evacuated to safety. No one was inside the trailer at the time of the fire and home owners say it was used for storage. Fire investigators determined that a propane heater overheated and ruled the cause of the fire as accidental . The structure was destroyed , but listed as having no value and was not insured . Border City Fire was assisted by Junius FD, Waterlo FD and North Seneca Ambulance . The New York State Sheriffs’ Institute will begin its annual Honorary Membership drive in Seneca County within the next ten days according to Sheriff Timothy Luce. For more information about the Sheriffs’ Summer Camp and other Sheriffs’ Institute Programs, visit our website, www.sheriffsinstitute.org or simply google “Sheriffs’ Institute kids” and it will be your first option. The Seneca County Sheriff’s Office reports, on March 25th, 2019, members of the Narcotics Unit arrested Christina Coleman , age 40, of 27 N. Wadsworth Street, Geneva, N. Y. The arrest stems from an investigation into the sale of prescription medication in the local community. It is alleged that Coleman sold a controlled substance( Ritalin ) in the Town of Seneca Falls. Coleman was charged with Criminal Sale of a Controlled Substance in the Third Degree and Criminal Possession of a Controlled Substance in the Third Degree. Coleman is currently being held at the Seneca County Correctional Facility without bail. Colemans next scheduled court appearance will be on March 27th, 2019 at Seneca Falls Town Court. 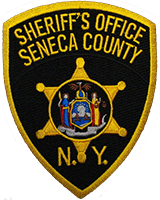 The Seneca County Sheriff’s Office was assisted by the Seneca Falls Police Department. The Seneca County Sheriff’s Office reports that on March 25th 2019 at 12:30 AM, Deputies arrested Sean M Ryan, 18, of 1 Pearsall Dr Monroe NY on State Route 318 in the Town of Tyre for Unlawful Possession of Marihuana. It is alleged that Ryan was in Possession of Marihuana following a traffic stop for Speeding and operating an Uninspected Motor Vehicle. Ryan was released on an appearance tickets and is to appear in the Town of Tyre Court on May 8th 2019, to answer the charges. Seneca County Sheriff’s Office reports that on 03/24/19 at approx. 6pm Deputies arrested Harold J Wallace Jr,31 of 75 North division St Auburn and Jasmine L Radlowski 26 of the same address. The arrest stems from traffic stop on Rt 318 in the Town of Tyre where Deputies stopped the vehicle Radlowski was operating for 73mph in a 50mph zone. Upon stopping the vehicle Deputies discovered that the vehicle was reported stolen from Cayuga County. Deputies also discovered that Wallace was in possession of metal knuckles. Radlowski was charged with unauthorized use of a motor vehicle in the 3rd degree a class A misdemeanor and issued a citation for the speed violation. Wallace was also charged with unauthorized use of a motor vehicle in the 3rd degree a class A misdemeanor and Criminal possession of a weapon 3rd degree a class D Felony. Both were turned over to corrections to await arraignment at Centralized arraignment court. Deputies were assisted by Sheriff’s Office investigators and NYS DEC. The Seneca County Sheriff’s Office reports on March 23, 2019 at approximately 3:15 P.M. Sheriff’s Deputies arrested Stanley A. Maros age 51 of Laurel Ave Moosic Pennsylvania for passing unsafely on the left, Driving While Intoxicated and Driving with .08% or more. The incident stems for a property damage accident that occurred at the intersection of State Route 96 and Aunkst Rd. Deputies report Maros was northbound when he collided as attempted to pass another northbound car, (driven by William D Taylor age 54 of Emily Drive Corning NY )which was slowing to turn left onto Aunkst Rd. While Deputies were on scene investigating the accident Maros was found to be intoxicated. Deputies report that there were no injuries and the vehicles sustained moderate damage . After being processed at the Sheriff’s Office, Maros was released on appearance tickets and is to appear to the Town of Fayette Court on April 3, 2019 at 7:00 P.M. to answer for the charges. The Seneca County Sheriffs Office has been notified that starting at Midnight 3/21/2019 through 6 AM 3/21/2019 Trumansburg Telephone will be performing system maintenance. During this time Trumansburg Telephone Customers may not be able to dial 7 digit phone numbers or contact 911. Telephone outages may be sporadic across the area. It is anticipated that any outage will be brief. Any person with a cell phone please be sure it is charged during this time in case you need to contact 911. If you do not have a cell phone you can also drive to the Law Enforcement Center located at 6150 State Route 96, Romulus NY 14541 and utilize the call box located immediately inside the Lobby Entrance. As safety is our first priority, we will be adding additional patrols in the affected area during this time. The Seneca County Sheriff’s Office reports that on 03/18/19 at approx. 9:46 pm, Sheriff’s Deputies arrested Brandon S Stone, age 30, of 8 Montgomery St Seneca Falls on a Family Court warrant for failing to appear. Stone was transported to the Seneca County Jail were we was turned over to corrections to await arraignment at the Centralized arraignment court. Deputies were assisted by the Seneca Falls Police Dept. The Seneca County Sheriff’s Office reports that on 03/14/19 at around 04:30 am, Deputies responded to St. Rt. 96 in the T/Varick for the report of a one car motor vehicle accident. It is reported that Ellen Parshall, 57, of 5339 St Rt 96, was travelling northbound on St Rt 96 when she swerved to avoid striking an animal in the roadway. This action caused the vehicle to leave the roadway and overturn into the ditch. Parshall was treated by South Seneca Ambulance for minor injuries. Parshall was issued a UTT for Aggravated unlicensed operation 3rd for Driving with a Revoked License and is scheduled to appear in Varick Town Court at a later date to answer charges. The vehicle sustained heavy damage and was towed from the scene. Also assisting with accident was Romulus Fire Department and Varick Fire Department.